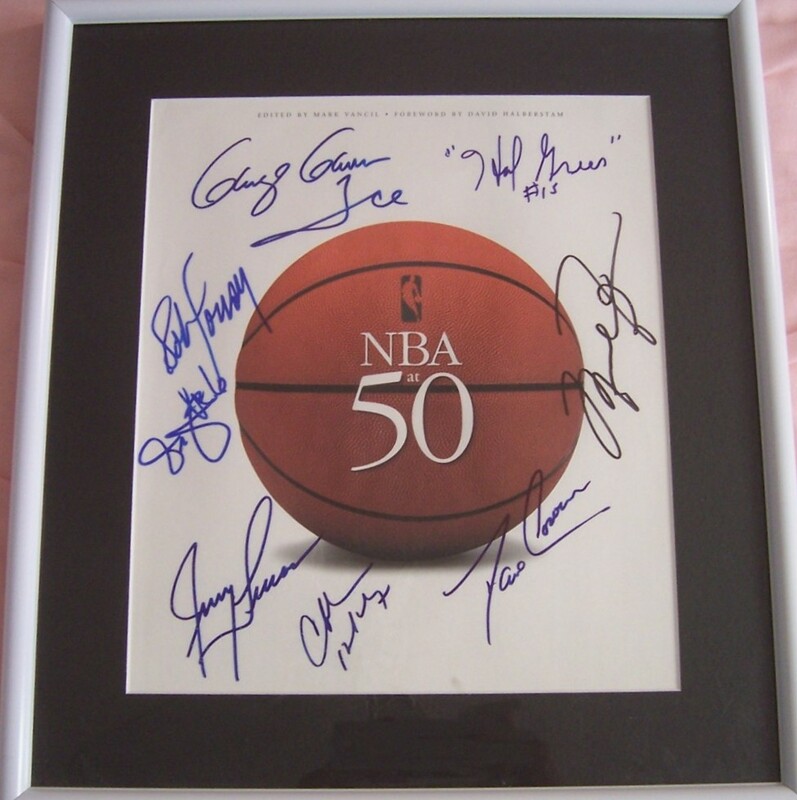 NBA at 50 coffee table book cover autographed in black marker by Michael Jordan and in blue marker by seven other members of the NBA 50 Greatest Players: Charles Barkley, Bob Cousy, Dave Cowens, Julius Erving (shorthand Dr. J #6 signature), George Gervin, Hal Greer and Jerry Lucas. Professionally matted in black and framed with glass in white. With certificate of authenticity from AutographsForSale.com. ONLY ONE AVAILABLE FOR SALE. 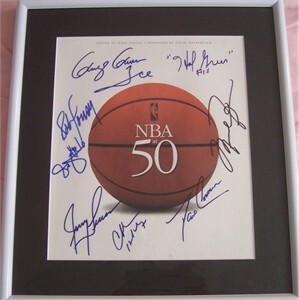 PLEASE BE AWARE THAT 99% OF NON-UDA MICHAEL JORDAN AUTOGRAPHS OFFERED ON THE INTERNET ARE FAKE. 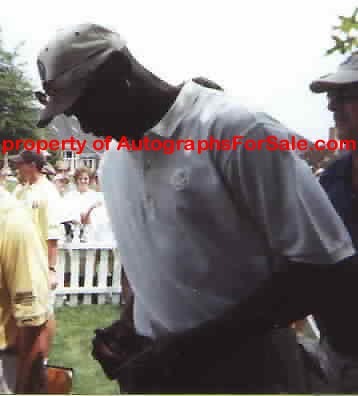 This Michael Jordan autograph was obtained in person at the Mario Lemieux Celebrity Golf Tournament in Pittsburgh many years ago and the other 7 autographs also were obtained in person.